As we all know, Friday last week was Red Nose Day, which raises valuable funding for Comic Relief to support community projects across the UK and overseas. 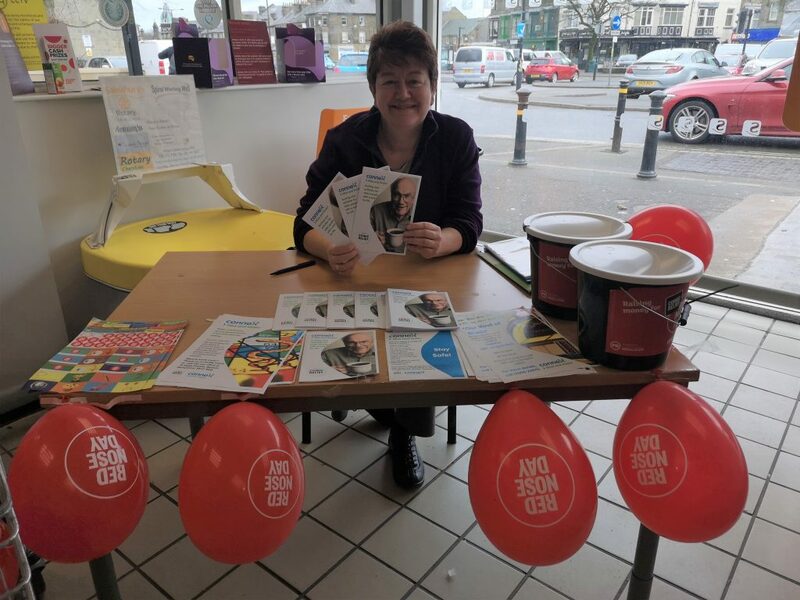 To help fundraise, Lynn Stone from our Alive and Kickin’ project set up a stand in the local Sainsbury’s store in Buxton, talking to customers about the project. Lynn explains, ‘Our project, Alive and Kickin’, is funded by Comic Relief, so we wanted to work with Sainsbury’s to raise awareness of our project. We wanted to help raise funds so that other charities and community projects can continue to benefit as we have’. Plenty of people came to chat and together we raised over £400 for Comic Relief. Alive and Kickin’ is aimed at encouraging retired people to get involved in their community, by making new social connections and giving something back, through a range of exciting and different activities and volunteering roles. We are currently looking for young at heart volunteers to participate in intergenerational groups such as Little Weeds gardening group, or teaching youngsters the joys of traditional board games. You can also get involved in running ‘Our Kind of Music’ a music event we hold each month at The Vault, giving people the chance to dance, chat and quiz. Or you can enjoy chatting about films, then come along to our Silver Screening Social, which we hold with Buxton Opera House. People who would be interested in helping run these groups are especially welcome! To get involved contact Lynn or Colin via aliveandkickin@connex.org.uk or call 01298 23970.